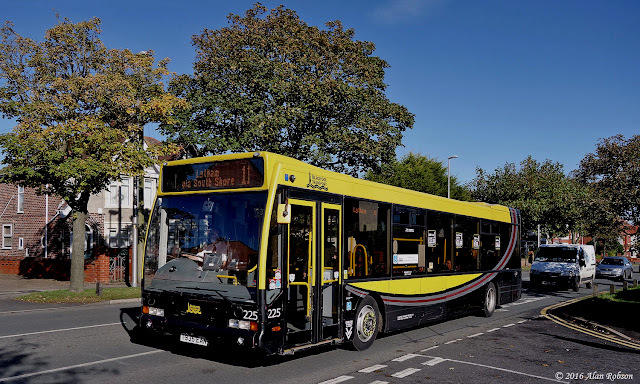 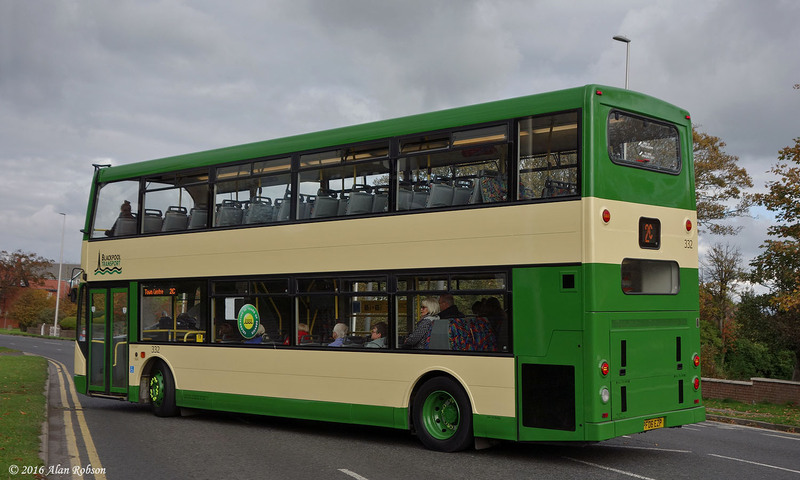 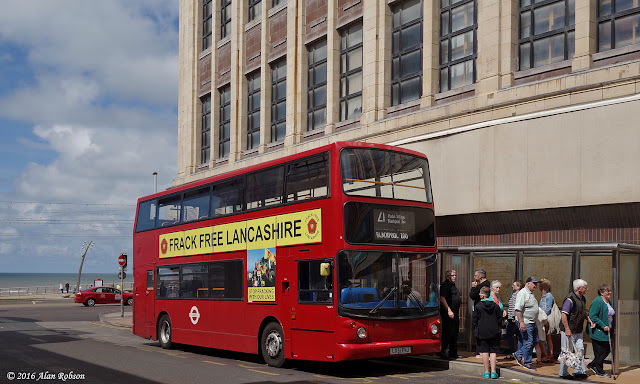 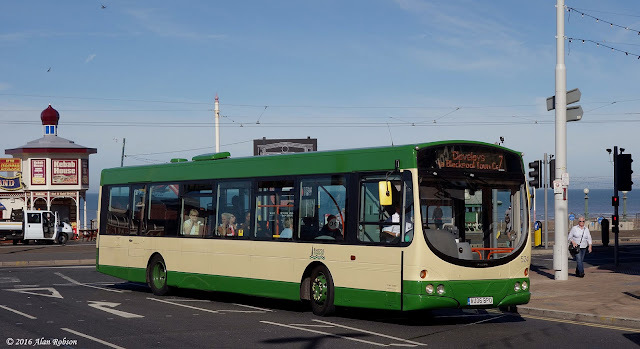 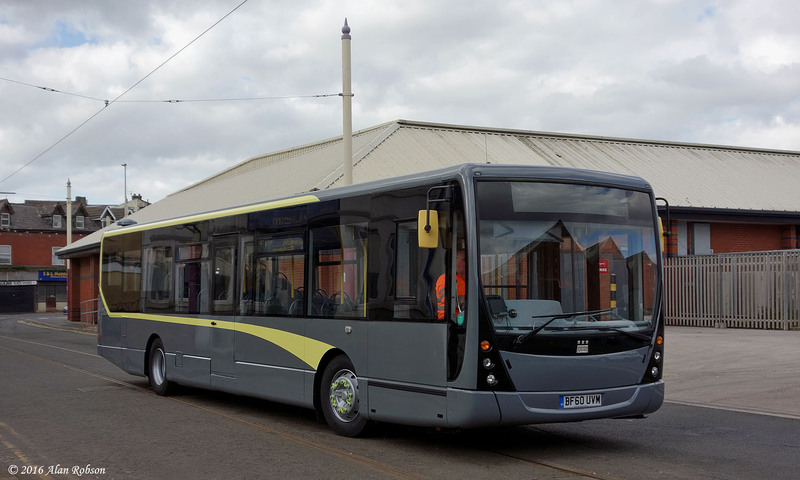 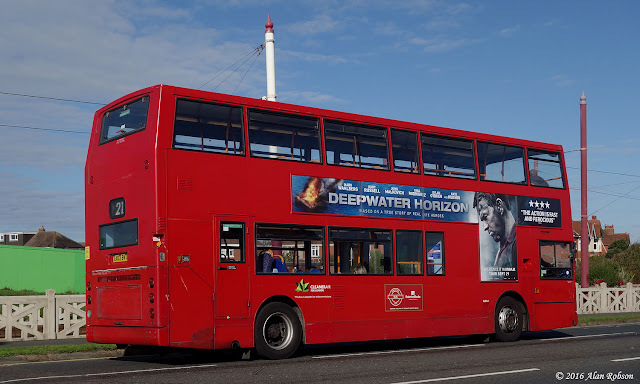 After a false last day of operation for the Optare Excels, back in spring 2015, Blackpool Transport are finally down to their last remaining example in passenger service, well over a year after the supposed Excel swansong in May 2015. Optare Excel 225 (T935 EAN) was part of a batch of vehicles purchased from Reading Buses in 2008, and is now the last of its type in operation. 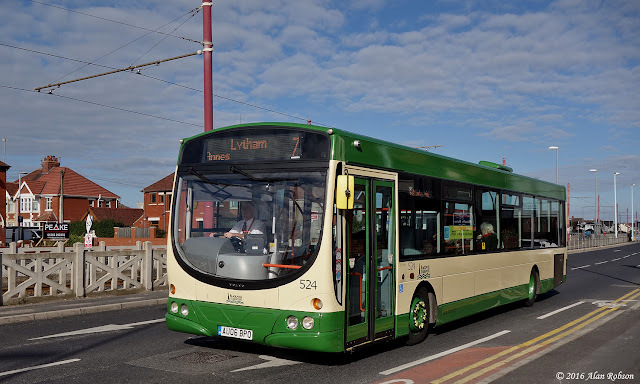 225 was noted in use on service 11 between Grange Park and Lytham on 19th October. Former Stagecoach London 10.5m Trident 17773 (LX03 BVJ) entered service on the Catch22Bus Coastliner 21 service today. 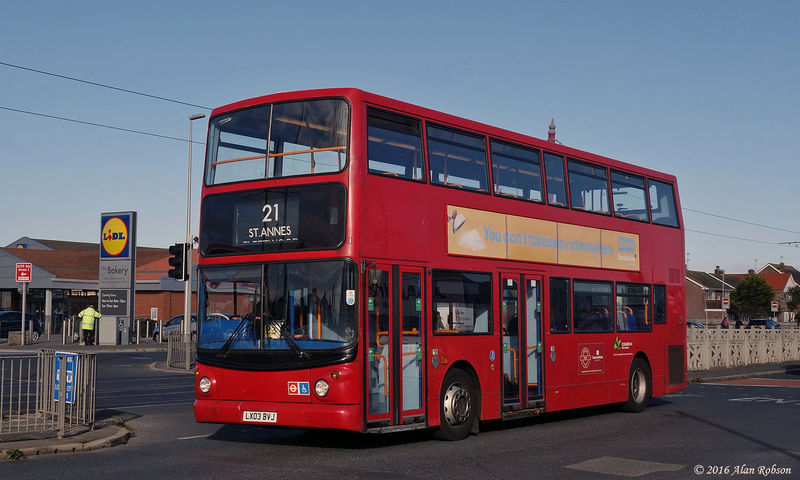 This bus is similar, but longer, to ex Stagecoach London 9.9m Trident 17506 (LX51 FNJ), that entered service with Catch22 in August 2015. 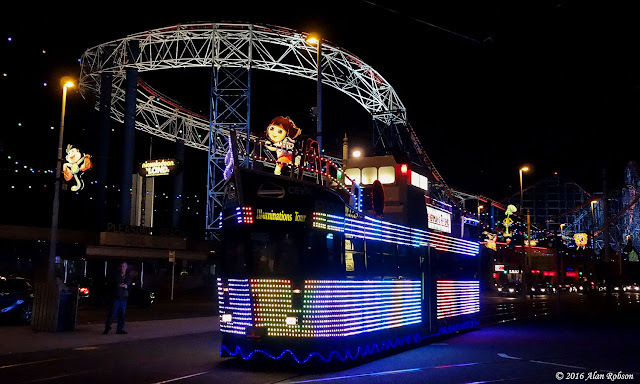 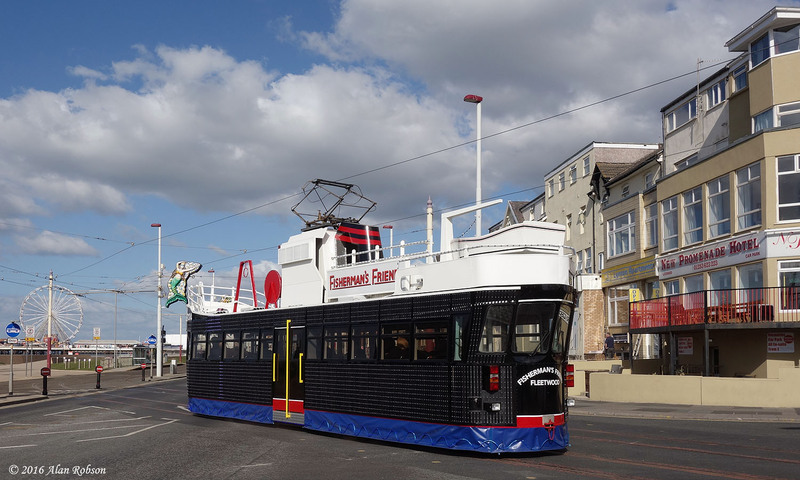 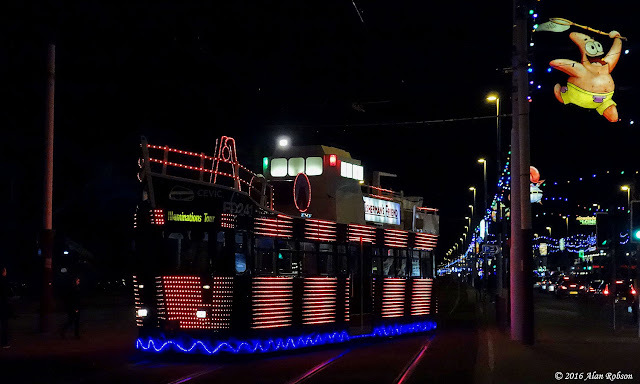 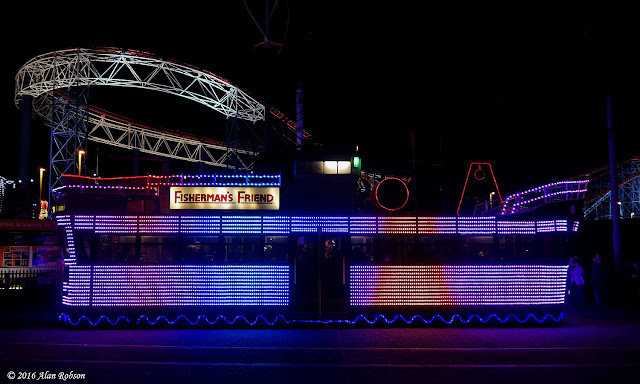 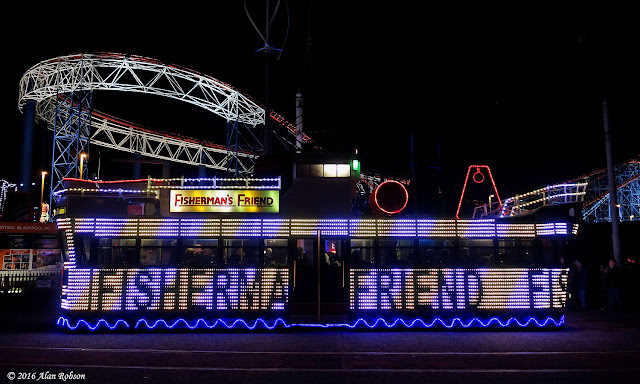 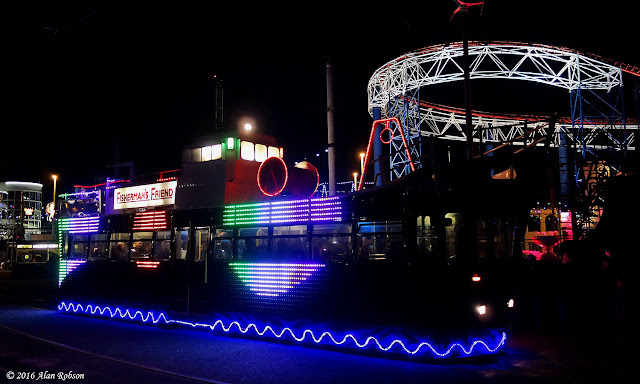 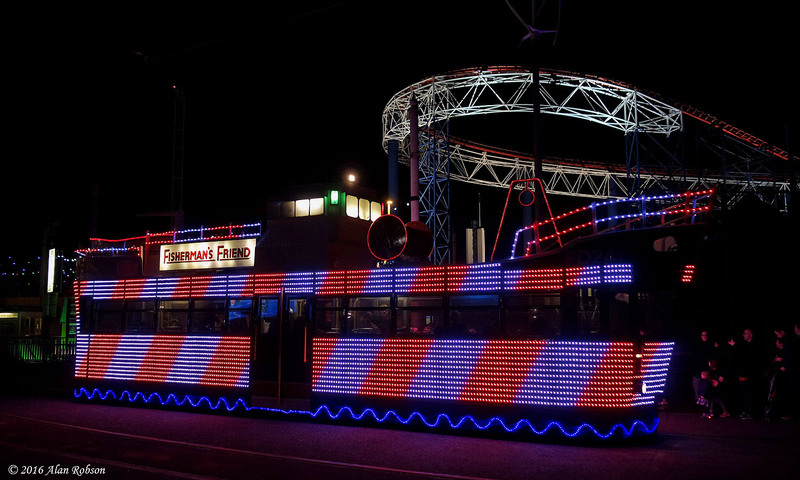 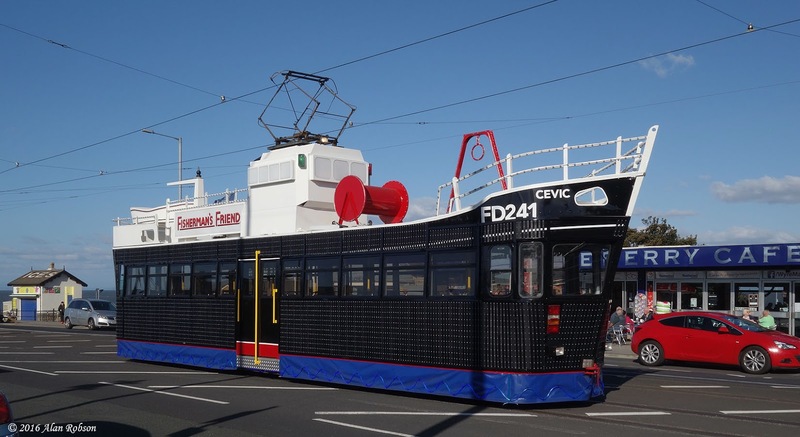 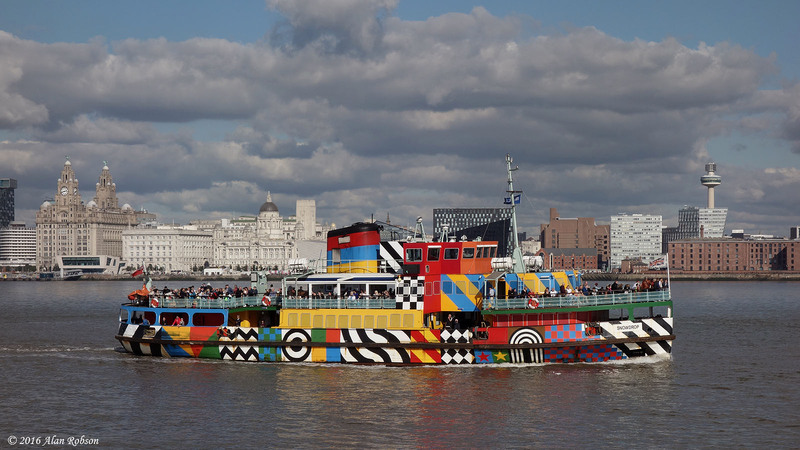 The illuminated Trawler was relaunched on Thursday 6th October at a private event for the sponsors of the tram's refurbishment. 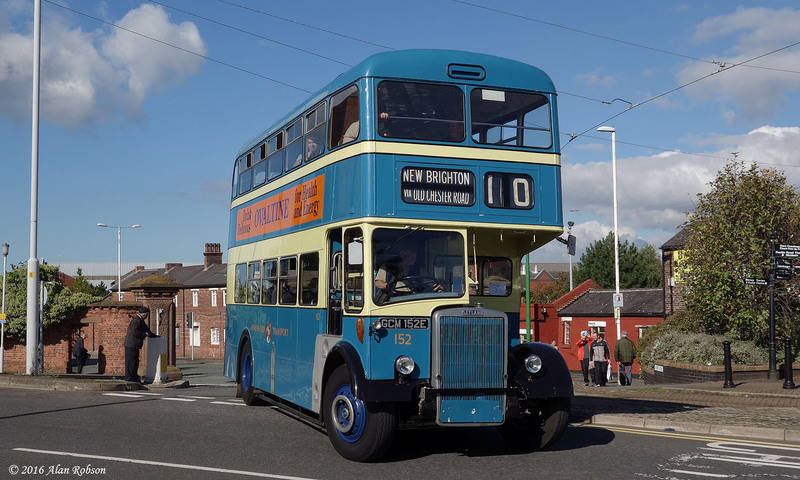 737 took the party to Fleetwood where they decamped at the Heritage Tour stop in Bold Street to have lunch at the North Euston Hotel. 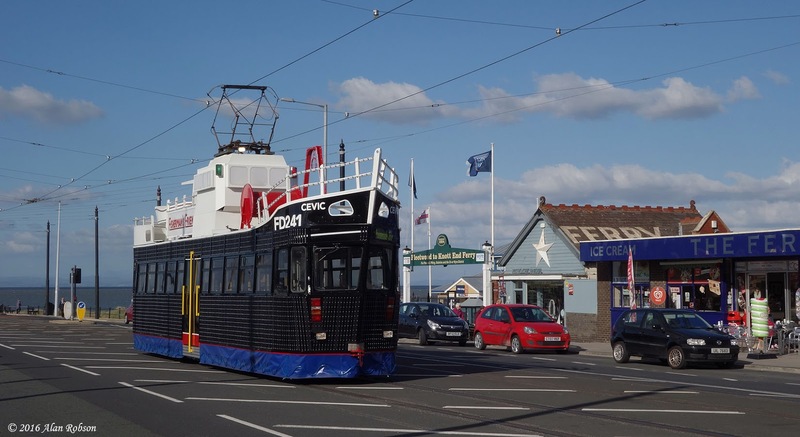 The Trawler was stabled on the loop line at Fleetwood Ferry while the guests dined out. 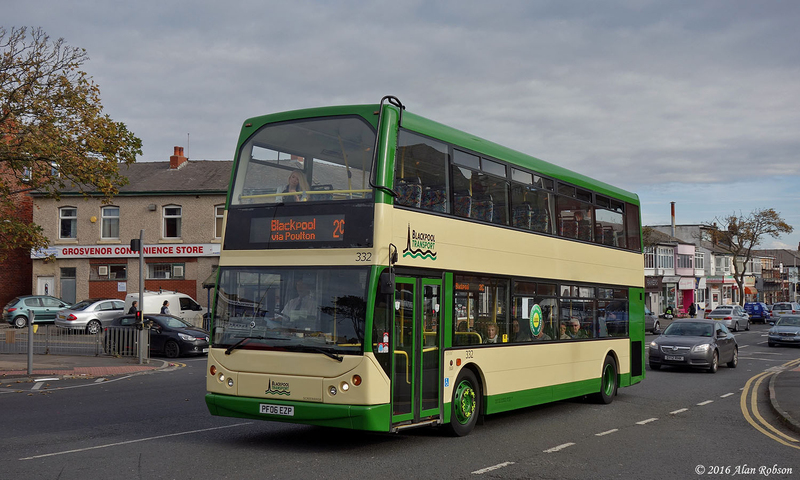 The following day on the Friday, 737 was launched to the public with two special tours to Fleetwood at 1700 and 2030. 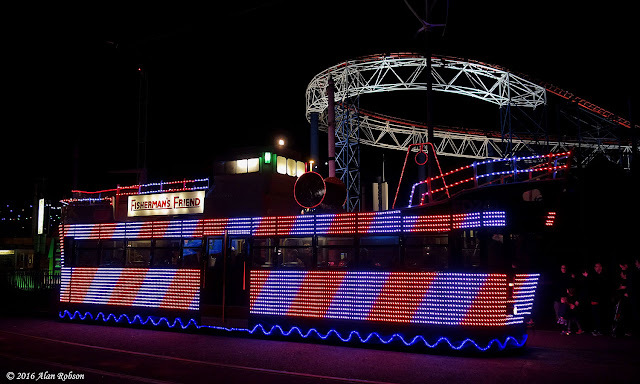 Unfortunately gremlins seemed to have got into the wiring since the previous day, and the main LED lighting wasn't working. 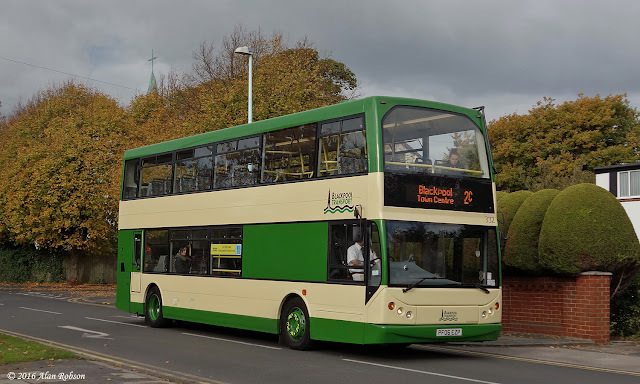 Newly refurbished Plaxton Centro bodied Volvo B7RLE 528 (BF60 UVM) has now returned from Bus & Coach World in Blackburn. 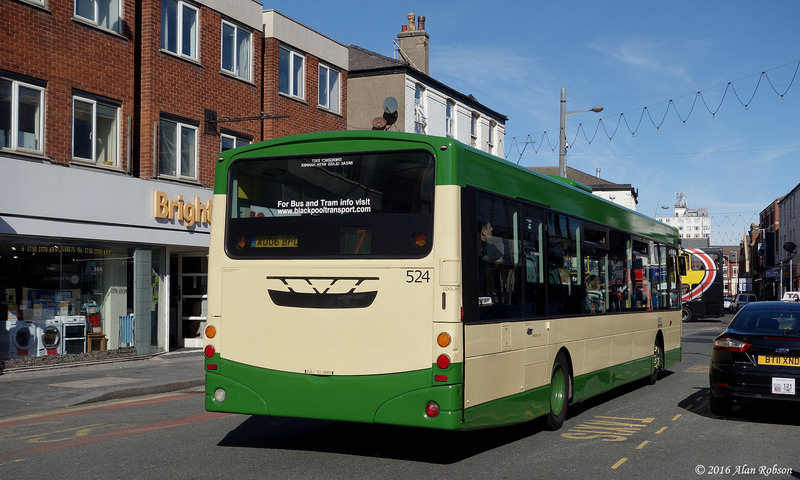 528 was noted on Hopton Road on 6th October, and was still awaiting the application of its Palladium branding and fleet numbers. 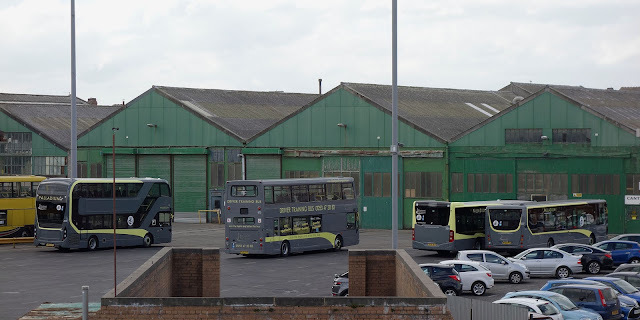 A chance encounter at Rigby Road on 6th October found an example of each type of BTS bus that carries the Palladium livery lined up in the bus depot yard. From left to right are Enviro 402, Trident 973, Citaro 559 and Centro 527. 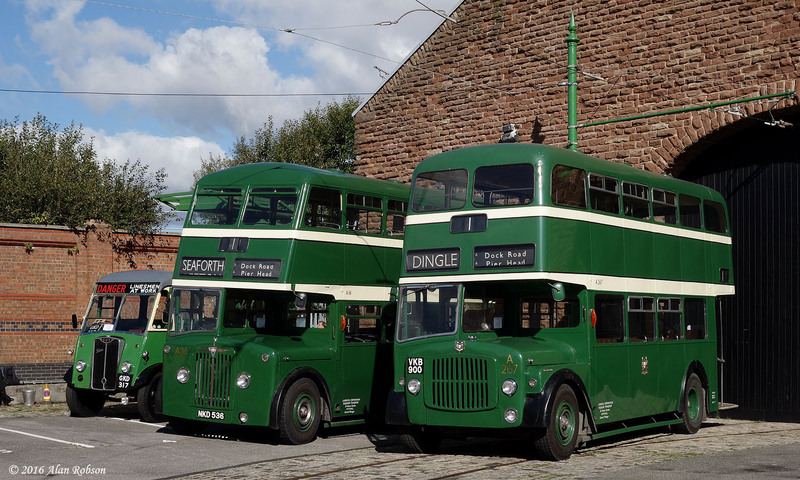 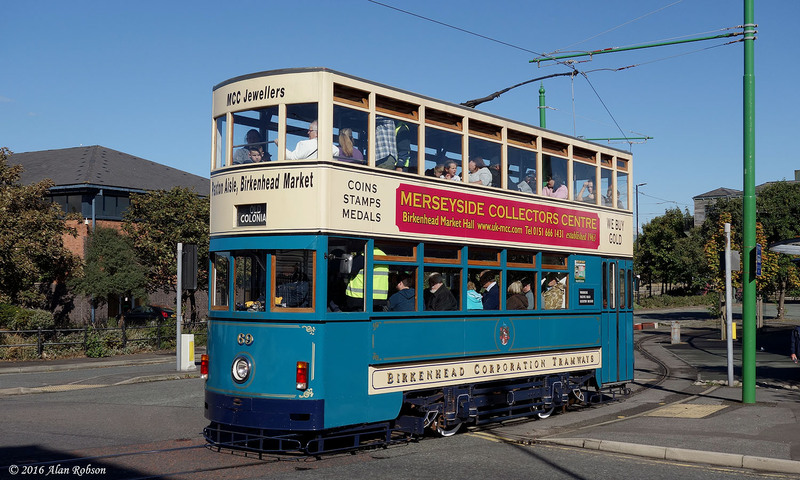 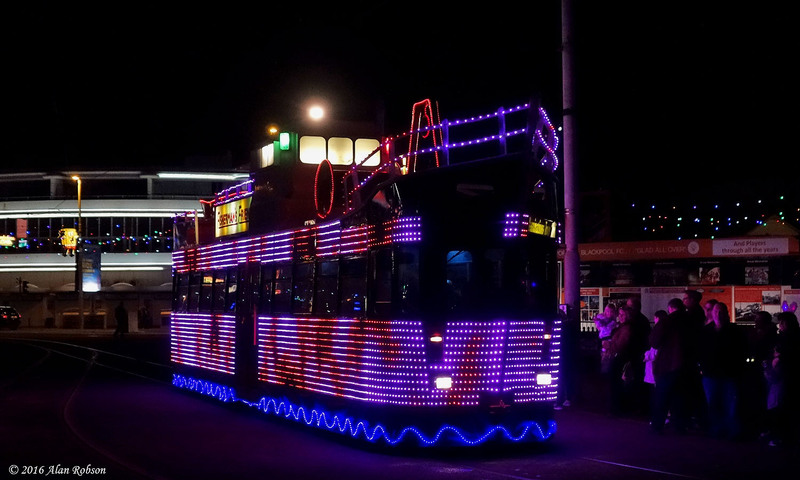 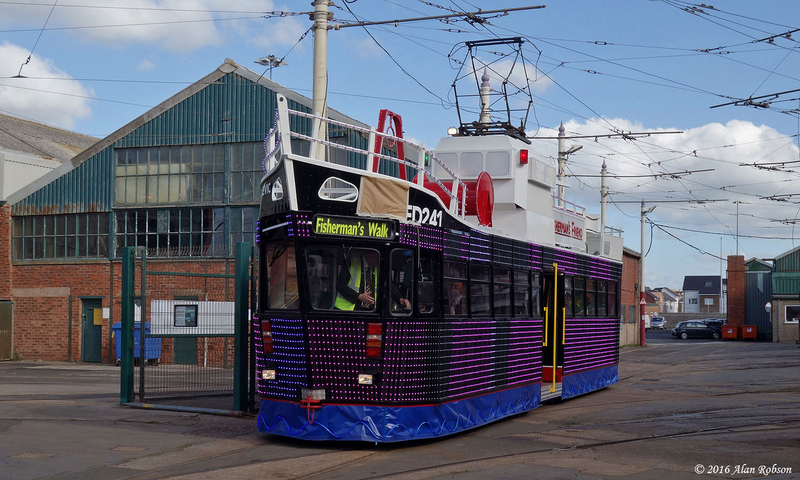 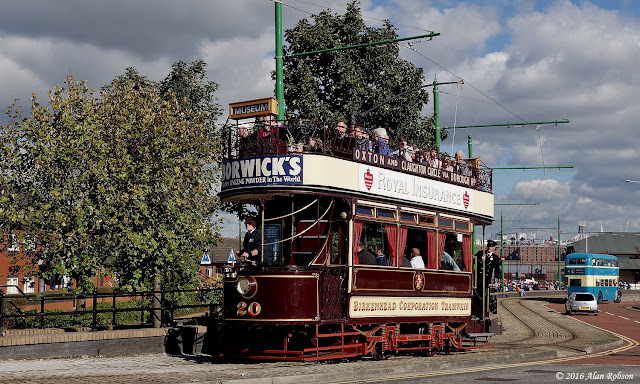 The annual Wirral Bus & Tram Show took place on Sunday 2nd October. 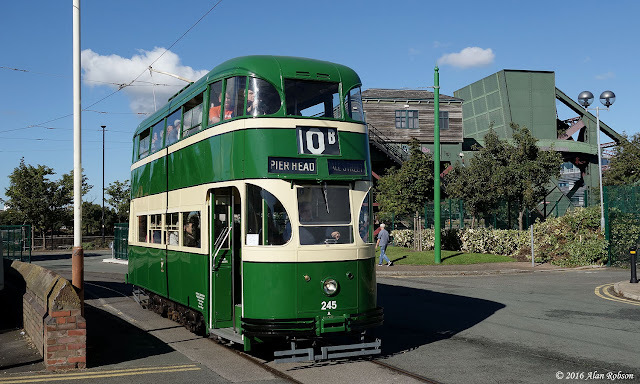 During the morning there were only two trams in operation, these being Hong Kong built cars 69 and 70, after midday a four car tram service was provided, with open-top Birkenhead 20 and Liverpool Baby Grand 245 joining the two Hong Trams for the rest of the day. 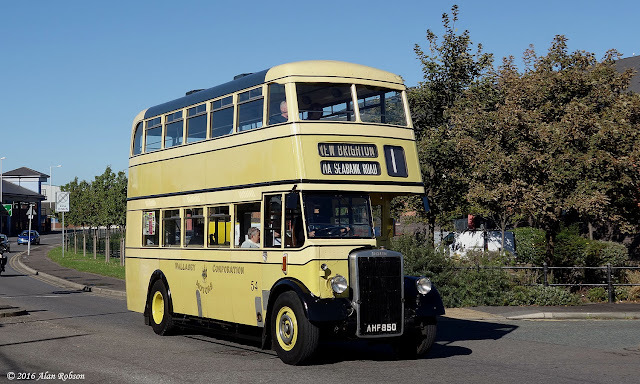 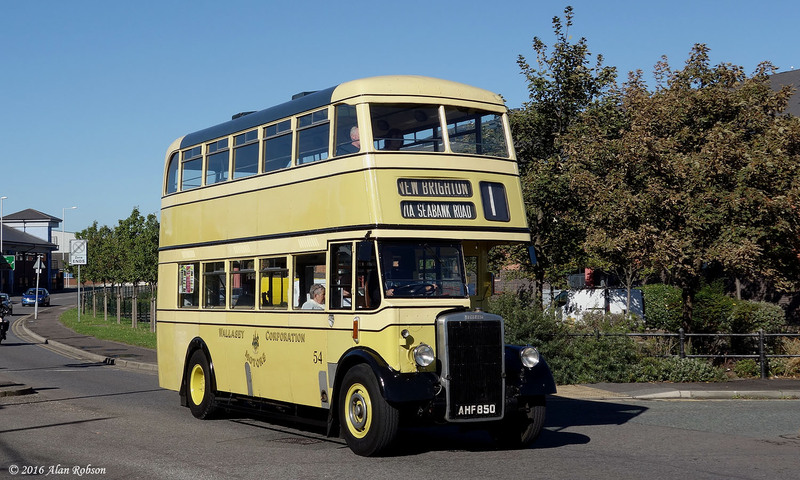 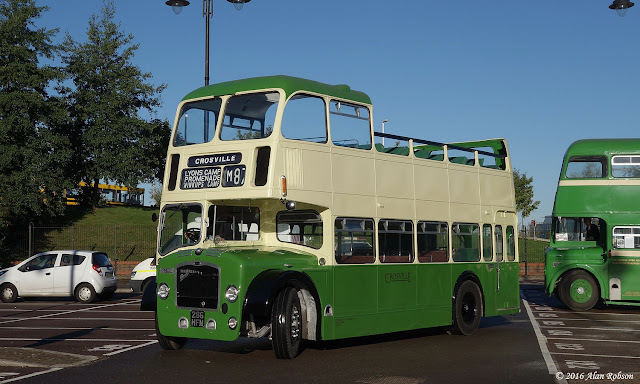 As usual the main participants of the event were static displays of preserved buses, with a further selection of buses offering demonstration rides to visitors. 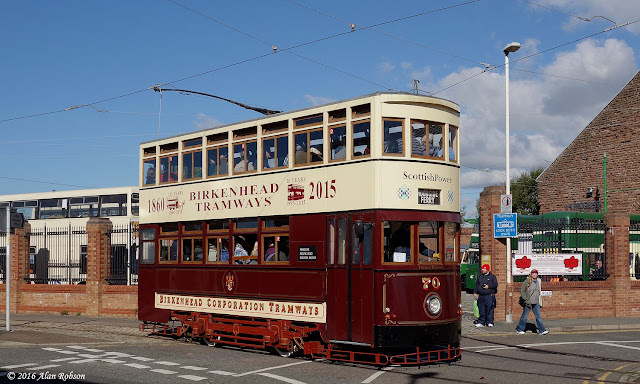 The day was blessed with glorious sunshine, and as usual the event was a credit to the organisors, volunteers and visiting vehicle owners.